Liverpool has so much to offer the visitor – two contrasting cathedrals, epic Victorian buildings, vibrant cultural life and a spirit of rejuvenation following its year as Capital of Culture in 2008. This October 2011 tour embraced major buildings – the Cathedrals, St George’s Hall and the Albert Dock – alongside two brand-new museums, the Museum of Liverpool and the Liverpool University Victoria Gallery & Museum and less accessible sites such as magnificent Victorian places of worship around Sefton Park, the Philharmonic Hotel which has the finest gentlemen’s lavatory in the North West, a ride on the Mersey Ferry and a behind-the-scenes tour of the Mersey Tunnel. 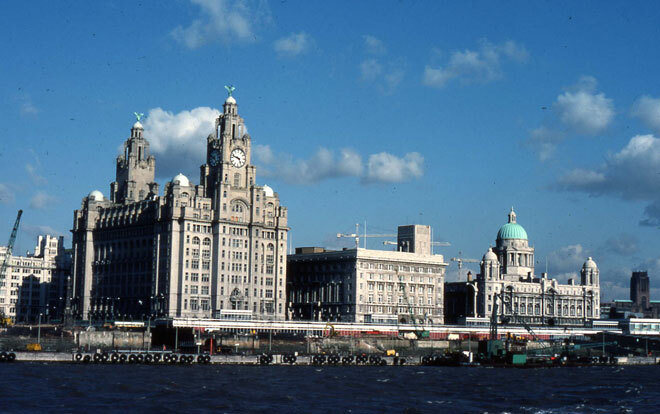 The 68-page illustrated handbook begins with an introductory account of the development of the port and the Mersey crossings, and then covers the major buildings visited, area by area, and concludes with suggestions for background reading. For further sidelights on Liverpool locations, please click here.